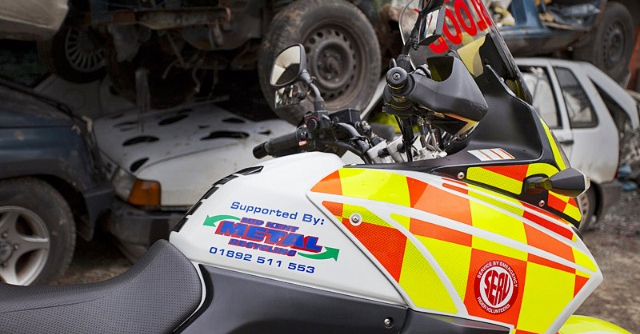 Here at Mid-Kent we have undertaken to sponsor Serv Kent for a period of one year to maintain one of the very precious blood bikes in Kent. We think it’s a wonderful free service that deserves a whole heap more support and a truck load of more sponsorship. Anyone that would like to know more about this fantastic service go to the SERV website or contact one of our team. As a company based in Tunbridge wells we think it only right and proper to give something back to the community! This is why we have already donated over £1800.00 to Sherwood Park Community Primary School to finance their long awaited field trips for the younger pupils – trips that can only benefit and enhance the children’s’ learning ability. This is something we find very rewarding. So much so that we have already agreed, in principal, to fund yet another local school to enable trips to the local swimming pool which, again, we think is a very important part of growing up. If you wish to know more about what can be done to help please contact a member of our team. As we draw close to yet another end of financial year it’s time for me to reflect on the year’s business. First off the plate is a big thank you to all the staff here at Mid-Kent. They have worked very hard all year keeping the core values of this company top of their list, showing a well above average level of enthusiasm, sustained a level of customer care that I can only be proud of and, finally, solving our customers’ problems has sometimes taken them beyond what would normally be looked at as daily duties. For this I am proud of my team because some of the problems were huge but, as always, the end result was “job done”. Thank you all. We will again this coming year continue to update our service where ever we can, look at new ways to recycle our material that could increase the revenue recouped, and – above all – strengthen our relationship with our existing customers and prove ourselves to potential ones! We tell you what we can do…………….and we do what we say.